In Australia, Motorbike Transport from one place to another is made possible with Australian motorbike movers. Motorcycles are taken care of by professional movers so that you won’t have to worry about them when you are traveling, moving or purchasing your bike from interstate . Since your motorbike is extremely important to you, it is essential to know the factors that might affect the transportation process. Before anything else, you need to pick the right company that you can trust, the person you talk to on the phone. If you’re new to the whole interstate removals industry, the best way to start is by searching in the Internet for the companies available. Just type in what you are looking for (interstate motorbike transport) in a search engine to begin your search. From there, you’ll be redirected to the website of the moving companies. Each company offers different prices and services so make sure to check each one so that you’ll get the best deal possible. 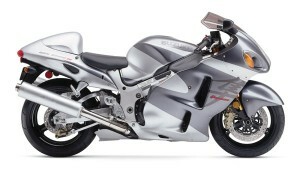 All your motorbike needs should be taken care of by a professional company. Motorbike Movers offers Australia’s only instant online quoting system so you can get an idea of price for your Motorbike transport without having the time consuming procedure of filling out a form and waiting maybe days for a salesman to ring you back. This comes in handy if shopping on ebay for example and need to build the transport cost into the buy price. When it’s time for the actual motorbike transport, you have to know when you will get your bike. If it has already past 3 weeks since the move, call the company immediately and ask what happened. The average time for it to be delivered should be between 2 to 3 weeks. If it goes beyond that time, then you should begin to worry about the condition of your bike. Good companies deliver your vehicles on time without delay. Aside from the time, you should also know where your Motorbike will be delivered. Your Motorbike may arrive on time, but it might be delivered in the wrong place. You might be waiting for your bike at your home but it was wrongly sent in the airport. Discuss with the movers where exactly you want your bike delivered whether it’s in your house, a bike dealership, storage or at the airport. It is very safe and good that motorcycles are taken care of by professional movers so that you won’t have to worry about them when you are traveling, moving or purchasing your bike from interstate . The average time for it to be delivered should be between 2 to 3 weeks. If it goes beyond that time, then you should begin to worry about the condition of your bike. Good companies deliver your vehicles on time without delay. Australia is a big country and customers must understand the variables involved within the transport industry. Delays in transit time due to weather, volume, roadworks and mother nature can and will affect the run. Bringing a bike from Broome to Cairns, travelling anti clock wise around, can take up to 1mth. Stating a good company delivers without delay is a misleading statement. A good company will always let the customer know of any delays in transit but never promise a delivery day, its only ever an approx. Before whatever else, you have to pick the right organization that you can believe, the individual you converse with on the telephone. In case you’re new to the entire interstate evacuations industry, the most ideal approach to begin is via scanning in the Internet for the organizations accessible. Simply sort in what you are searching for (interstate motorbike transport) in a web index to start your inquiry. From that point, you’ll be diverted to the site of the moving organizations. “Greate” “Australia Wide Motorcycle” Beside the time, you ought to likewise know where your Motorbike will be conveyed. Your Motorbike might land on time, however it may be conveyed in the wrong place. You may be sitting tight for your bicycle at your home however it was wrongly sent in the air terminal. Talk about with the movers where precisely you need your bicycle conveyed whether it’s in your home, a bicycle dealership, stockpiling or at the airplane terminal. it is very interesting bike lover i like your post thanks for share this and this bike is very cool……………..